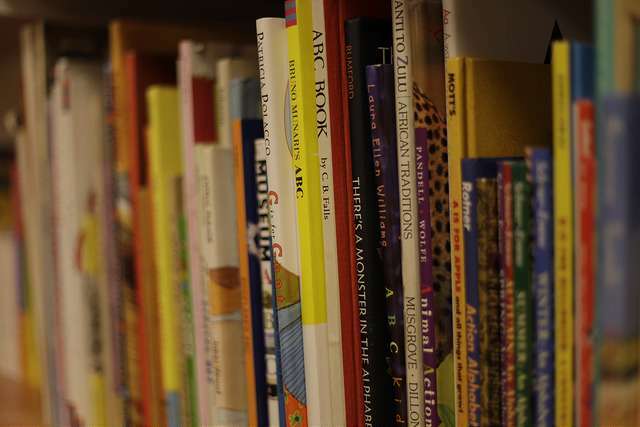 A study led by NYU's Steinhardt School of Culture, Education, and Human Development finds a startling scarcity of children's books in low-income neighborhoods in Detroit, Washington, D.C., and Los Angeles. The lack of children's books was even more pronounced in areas with higher concentrations of poverty, according to the findings published online in the journal Urban Education. "Children's books are hard to come by in high-poverty neighborhoods. These 'book deserts' may seriously constrain young children's opportunities to come to school ready to learn," said Susan B. Neuman, professor of childhood and literacy education at NYU Steinhardt and the study's lead author. Residential segregation has dramatically increased in recent years, with both high- and low-income families becoming increasingly isolated. In their study, the researchers looked at the influence of income segregation on access to children's books, a resource vital to young children's development. Access to print resources—board books, stories, and informational books—early on has both immediate and long-term effects on children's vocabulary, background knowledge, and comprehension skills. And while public libraries are critically important in giving families access to books, research has shown that the presence of books in the home is related to children's reading achievement. However, a 2001 study by Neuman found a sharp contrast between low- and middle-income neighborhoods when it came to being able to buy children's books. In a middle-income community, thanks to plentiful bookstores, 13 books for each child were available. In contrast, there was only one age-appropriate book for every 300 children in a community of concentrated poverty. To create a national picture of "book deserts," the new study, funded by JetBlue, examined access to children's books in six urban neighborhoods across the United States, representing the Northeast (Washington, D.C.), Midwest (Detroit), and West (Los Angeles). In each of the three cities, the researchers analyzed two neighborhoods: a high-poverty area (with a poverty rate of 40 percent and above) and a borderline community (with a roughly 18 to 40 percent poverty rate). The researchers recorded a total of 82,389 print resources in 75 stores. Three of the six neighborhoods had no bookstores, while dollar stores were the most common place to buy children's books. The researchers found stark disparities in access to children's books for families living in high-poverty areas. Borderline communities in all three cities had substantially greater numbers of books - an average of 16 times as many books per child - than did the high-poverty neighborhoods in the same cities. In Detroit, 42 children would need to share a single children's book in the high-poverty neighborhood of Hamtramck, while 11 children would need to share a book in the borderline neighborhood of University District. Los Angeles neighborhoods showed relatively higher rates of children's books (children in the borderline neighborhood of Culver City could each have a book), but the numbers still pale in comparison to Neuman's earlier study of a middle-income neighborhood, where 13 books per child were available. "Without resources, school readiness skills accumulated throughout the year are likely to drop precipitously during the summer. This 'summer slide' is a serious issue for children in poor and borderline communities, and having limited access to books may have serious consequences," Neuman said. JetBlue's Soar with Reading program has donated $1,750,000 worth of books to children in need, including in the communities identified as "book deserts" in this study. Naomi Moland, a postdoctoral research fellow at NYU and adjunct assistant professor at Columbia University's Teachers College, coauthored the study.